I realize the Christmas season is over, but I wanted to do a post on how we celebrated the Feast of the Epiphany and the Feast of the Baptism of our Lord this year mainly so that I can remember how we celebrated these feast days and to add this post to my A Slice of Liturgical Life page. 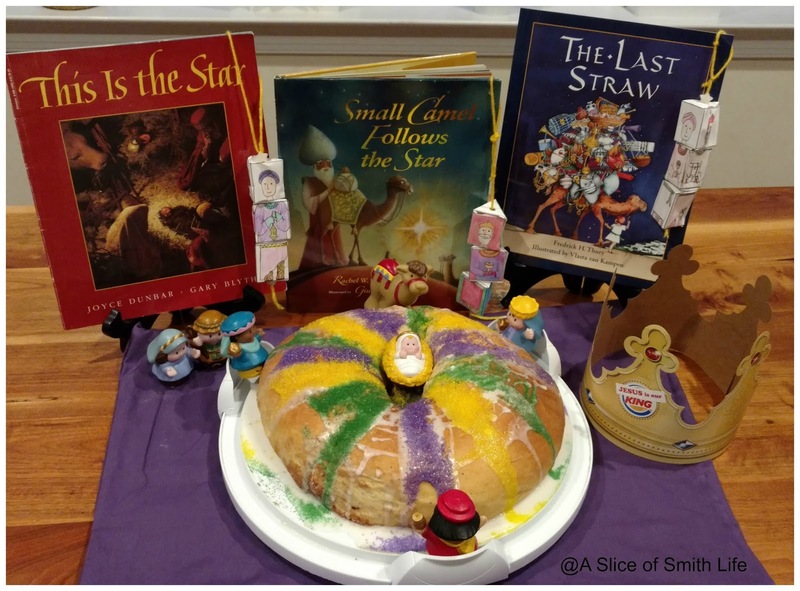 Maybe our liturgical celebrations will inspire others as well. 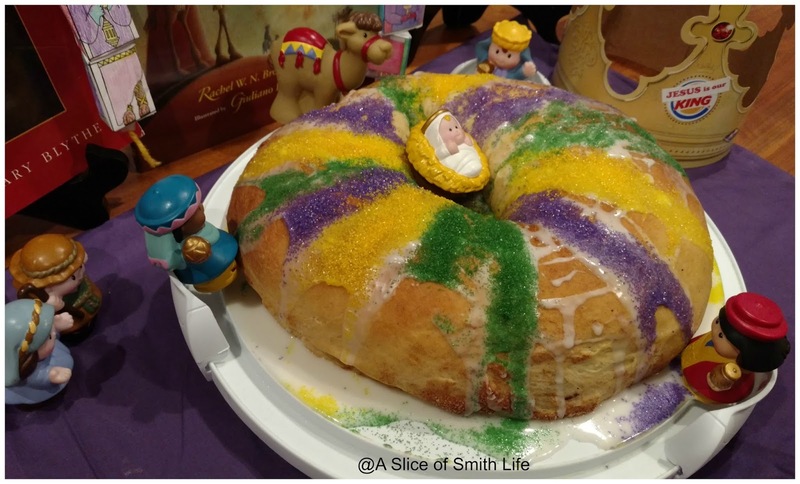 On Sunday, January 8, 2017, the Catholic Church celebrated the Feast of the Epiphany, but the traditional date for the Epiphany is January 6 so we celebrated Epiphany as a family on Jan. 6th. 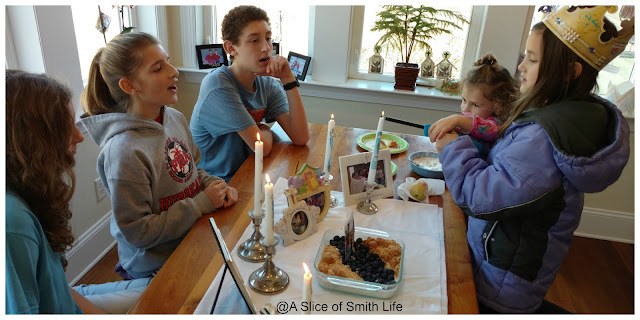 Last year our family hosted our annual homeschool group's Epiphany party and this year another family graciously opened their home to host some of our homeschool families to celebrate the Epiphany on Sunday, January 8th. 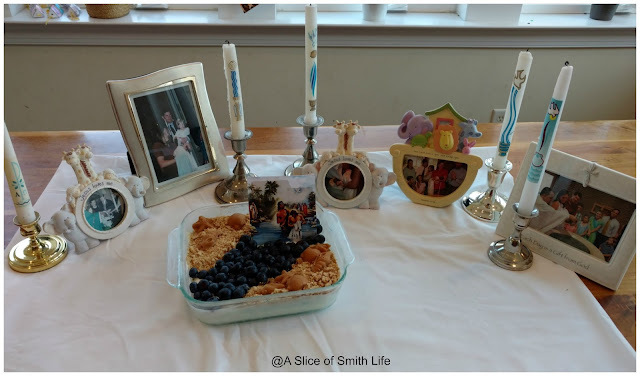 On Monday, January 9, we celebrated the Feast of the Baptism of our Lord as a family. 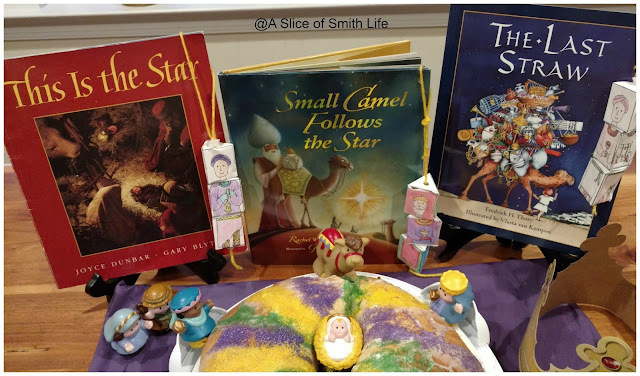 On the morning of Friday, January 6, I set out an "Epiphany themed" table that included fun books about the Wise Men finding Jesus: This is the Star, Small Camel Follows the Star, The Last Straw. On the table were also the 3 Kings paper ornaments that we made a few years ago designed by Lacy at Catholic Icing. Part of our Little People Nativity set surrounded the King Cake that I made. 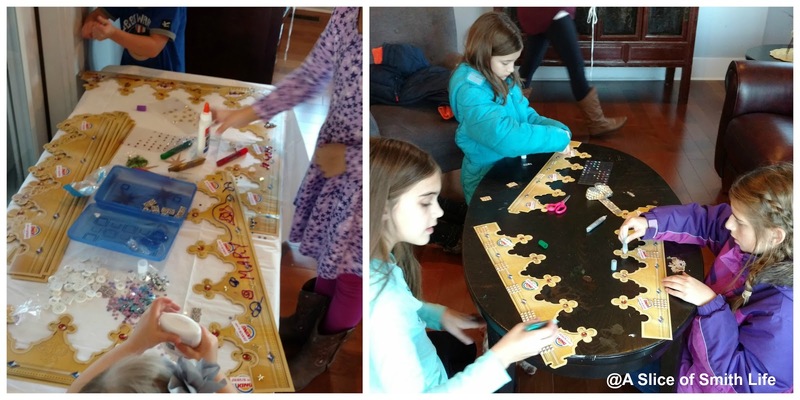 And then a "Jesus is our King" crown was on the table that was brought to the homeschool Epiphany party on Sunday. 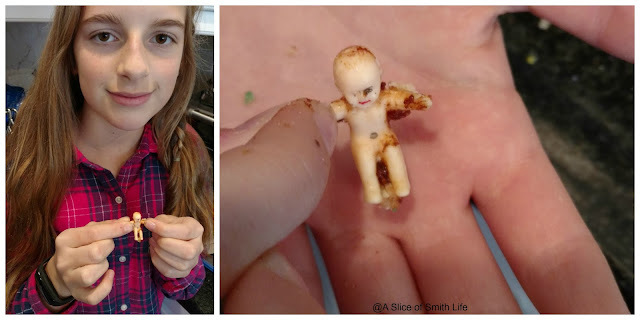 My family enjoyed the King Cake filled with cinnamon sugar, but they butchered it in order to find the Baby Jesus hidden inside. Hiding a Baby Jesus or a ring in the cake is a tradition and whoever finds it is supposed to have an especially blessed year. 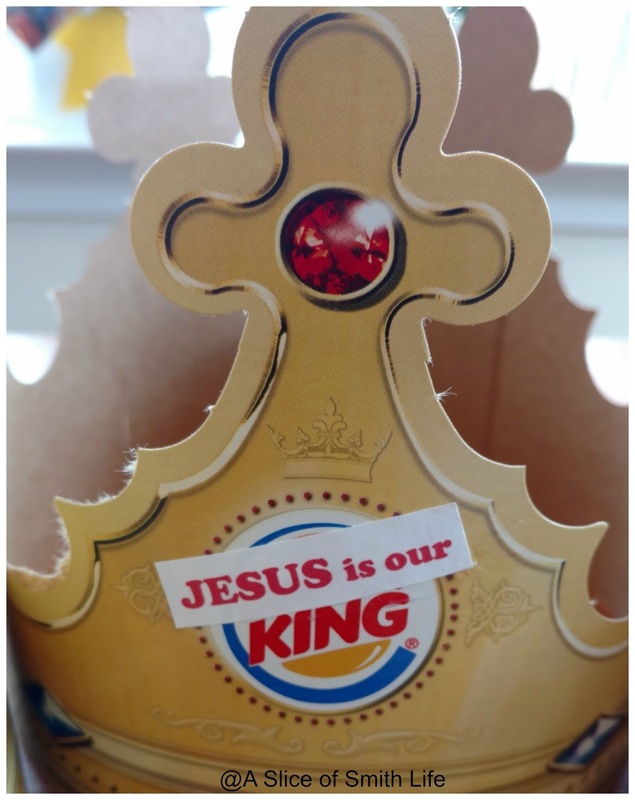 On Sunday, January 8 we attended the annual homeschool Epiphany party and an easy craft to do for this feast day is to ask your local Burger King for their paper crowns and then type out "Jesus is our" to cut and paste over the word "Burger" so the crowns read "Jesus is our King". Then the children can decorate the crowns with glitter glue, stickers, jewels, etc. 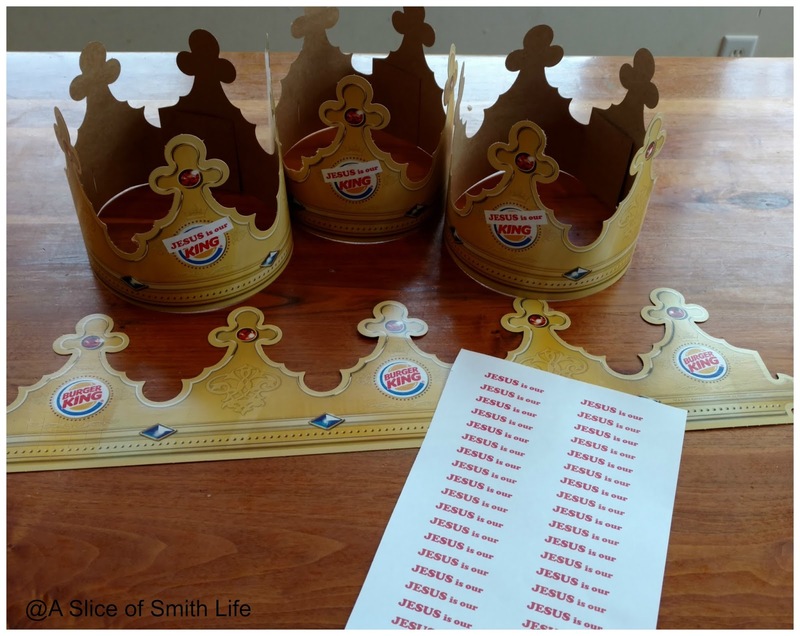 Some of the kids at the Epiphany party having fun decorating their Burger Jesus is our King crowns. At the party we also talked about the traditional Epiphany house blessing and chalking your front door and one child from each family wrote 20 + C + M + B + 17 on a black sheet of paper with blessed chalk so that the families could hang this on their door or remember to write it directly on their doors when they got home. 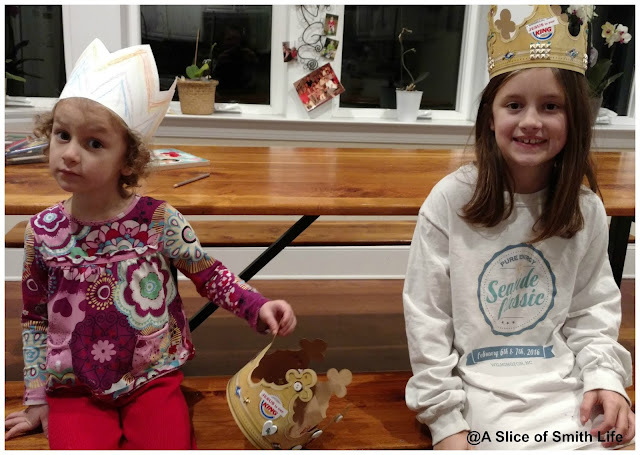 Our daughter on the left is wearing a crown that she made at our parish's Young Families group after church on Sunday and they made these crowns for the Epiphany. 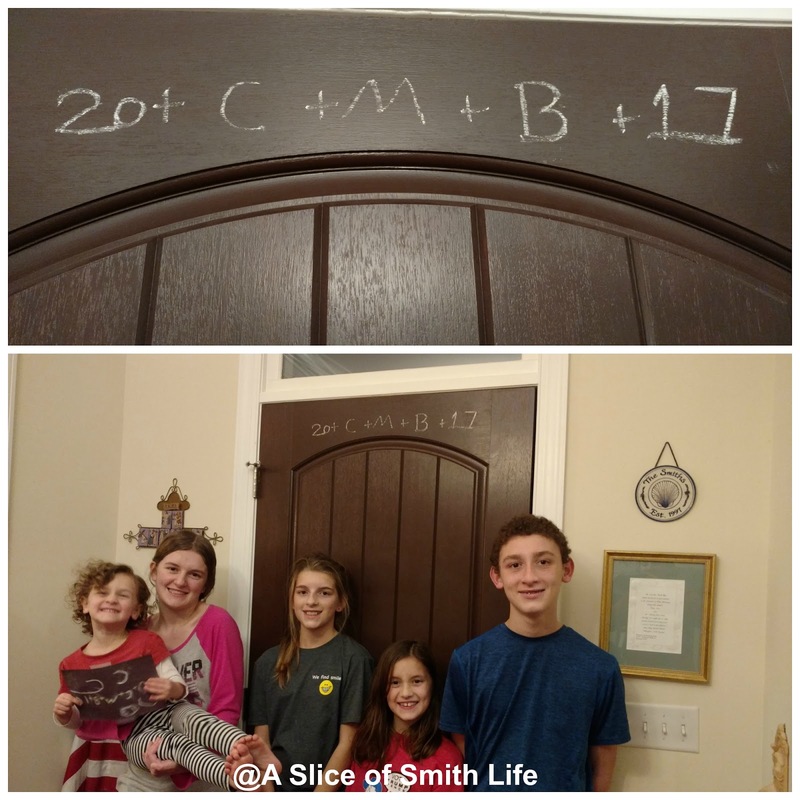 We came home from the Epiphany party and as a family chalked our front door from the inside vs. the outside since it was cold outside and dark. My husband and each of our children wrote a part of the 20 + C + M + B + 17 on the back of our front door. 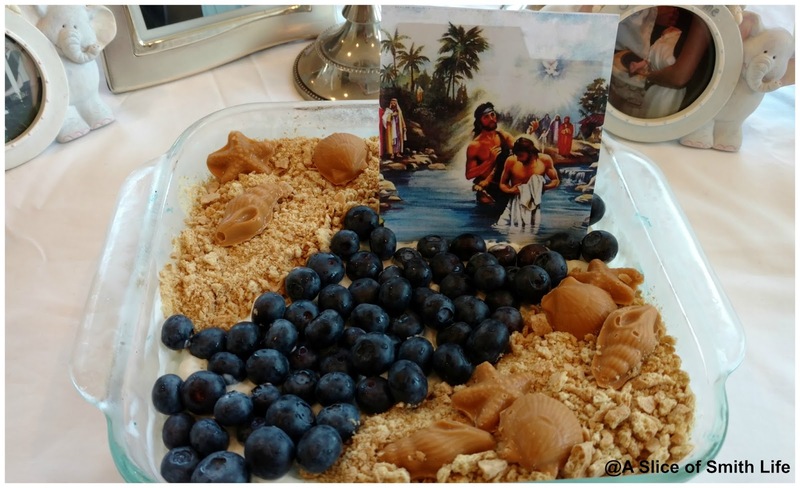 Then on Monday, January 9, we celebrated the Feast of the Baptism of our Lord. 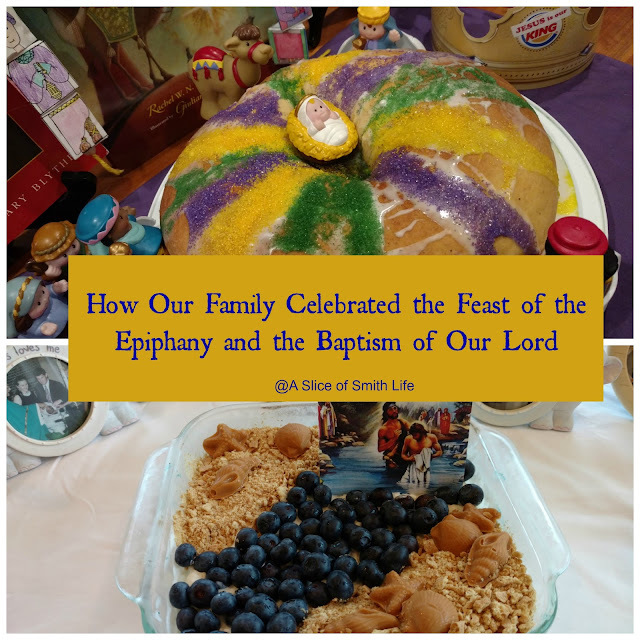 This feast is usually celebrated on the Sunday after January 6th, but since the Church moved Epiphany to Sunday, January 8th this year, that moved the Feast of the Baptism of our Lord to Monday, January 9th. The liturgical calendar can get confusing sometimes! I printed and cut out an image from the computer of John the Baptist baptizing Jesus and placed them in the "Jordan River". On the table during the day I displayed each of our children's baptismal candle along with a photo from their special day. Each candle holder has each of our children's first and middle name and baptism date engraved at the the base of the holder. The right photo below has "Leah Therese 8-31-13" engraved in it. 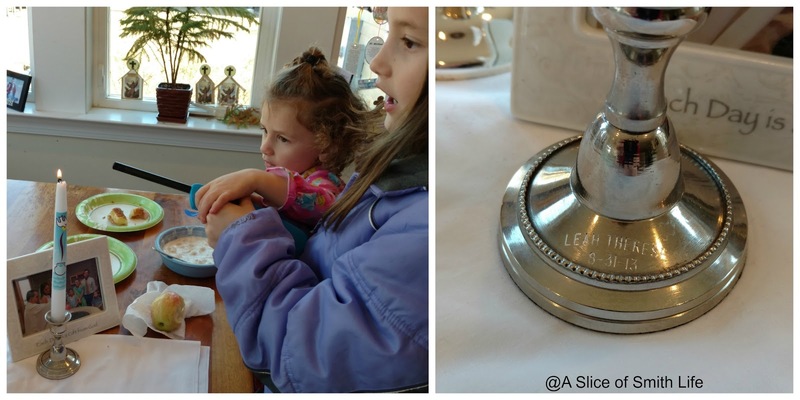 My parents bought the candle holders and then had them each engraved at an engraving business as my children were born. Each child lit their baptismal candle and we discussed Jesus' baptism and what our baptisms mean. My friend's son made this great craft about the Baptism of our Lord that I wanted to share so I can keep it for myself for future reference. 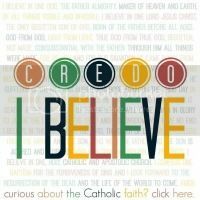 My friend said this was a craft suggestion in Seton's book. It was another blessed Epiphany and Feast of the Baptism of our Lord! In the spirit of the Wise Men bringing gifts to the Christ Child for the Epiphany, I thought I would share some fun gift ideas that I love and I think you will too! 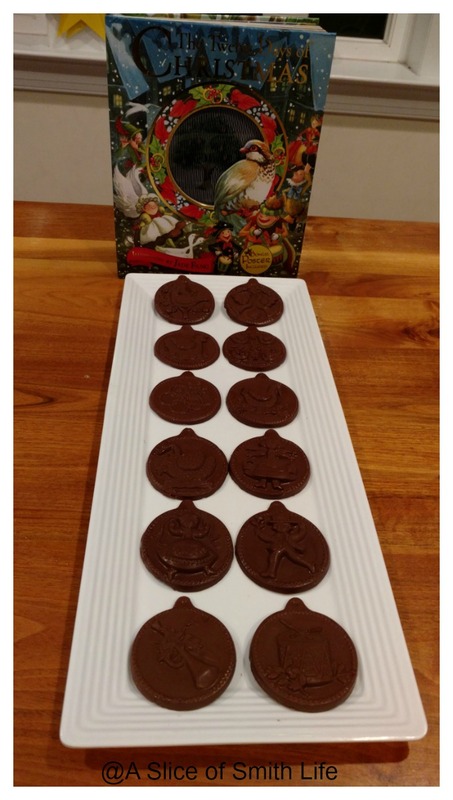 It's hard to read the title of the book, but it's called The Twelve Days of Christmas. 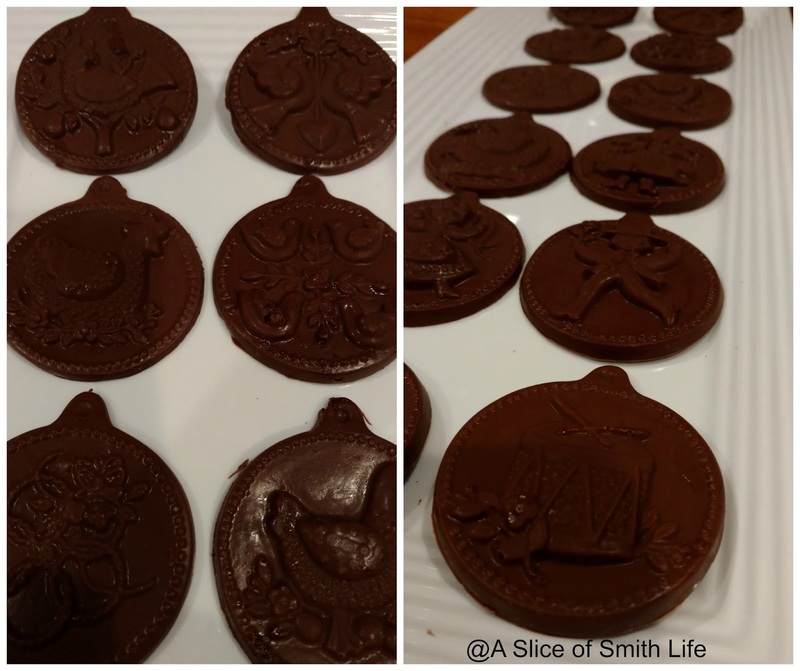 I discovered these fun chocolate molds towards the end of the 12 days of Christmas this year. Each circle represents a symbol from the traditional 12 days of Christmas song. 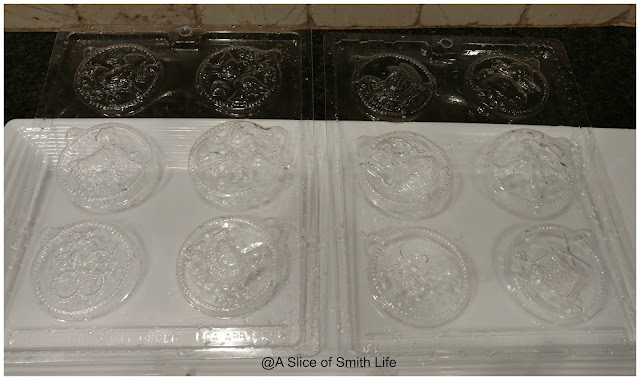 You can purchase Days 1-6 and then Days 7-12 separately. I made a group of 12 for the youth at our parish and put one of each in a clear plastic treat bags, tied it up and then wrote out the song lyric that went with the chocolate candy. I was sent a sample pack of this baby balm and Oh My! This is my new favorite baby balm that is not just for baby's sensitive skin! 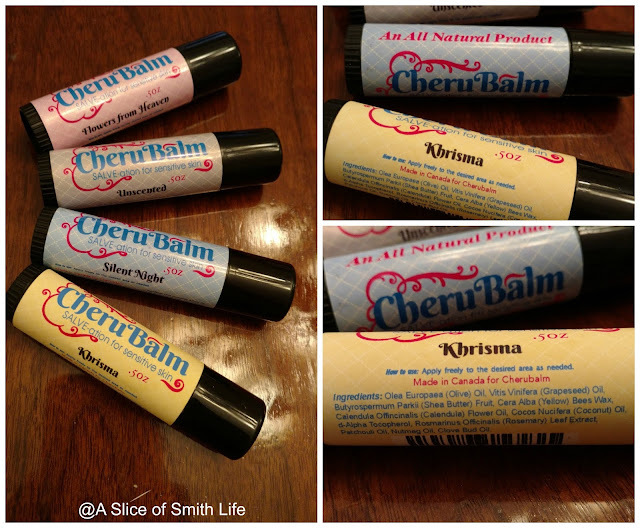 I have been wearing it on my chapped lips and two of my daughters have had extremely dry skin on their face and legs so we have rubbed CheruBalm on these areas as well and it has been clearing our dry skin overnight! It moisturizes your skin and goes on very smoothly! The ingredients are all natural and I love that the "Khrisma"-scented one smells just like the chrism oil that babies are blessed with at their baptism! This product is great for anyone, especially those with sensitive skin. 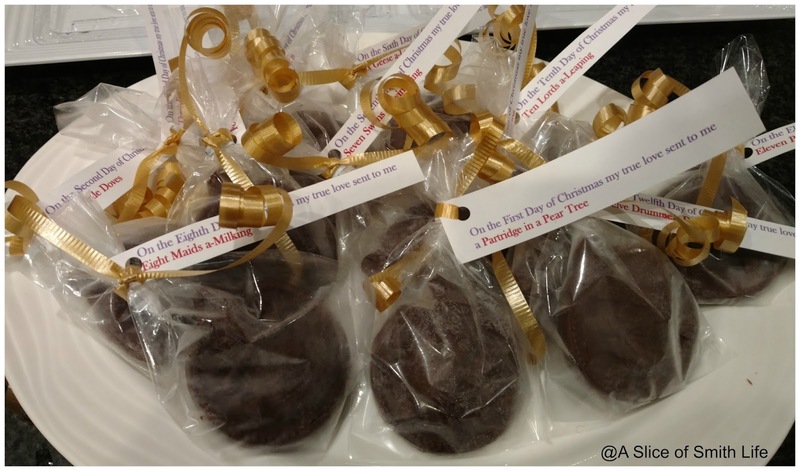 These would make perfect baby shower or baptism gifts or stocking stuffers! Besides loving the all natural ingredients and the 4 different scents: "Flowers from Heaven", "Unscented", "Silent Night", and "Khrisma" I love CheruBalm's Misson: Parenting is not easy, but we know the obstacles we face pale in comparison to those of some other families. This is why we have chosen to tithe a portion of all of CheruBalm's revenues to families in difficult situations. I also like that the owners have 5 children like me! 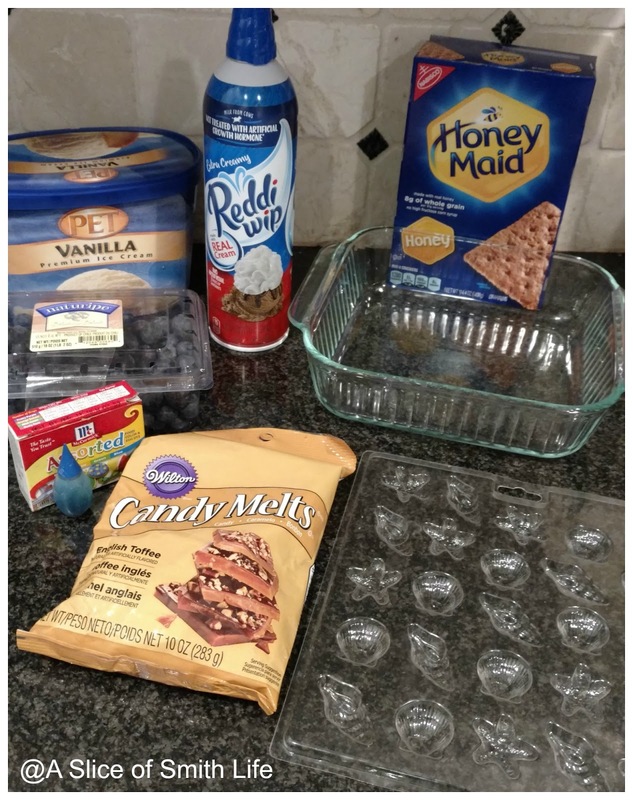 :) Find out more about this amazing product including their ingredients list. Be sure to follow CheruBalm on Facebook! 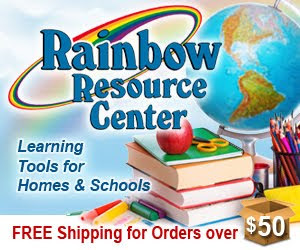 The discount code is good until Feb. 3rd. Enjoy! Speaking of babies and baby shower gifts, my next gift recommendation is beautiful and unique and made with lots of tender loving care. If you are looking for a fun baby shower gift or welcome baby gift be sure to check out a dear friend's Etsy shop called BritaBabyBoutique. 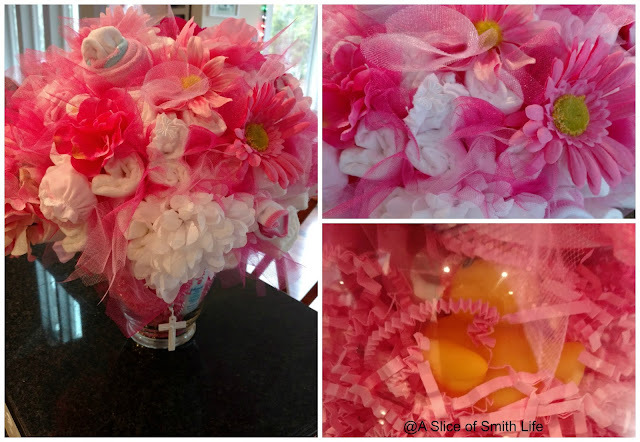 I purchased one of Brita's bouquets for a Catholic friend of mine who had a baby girl. 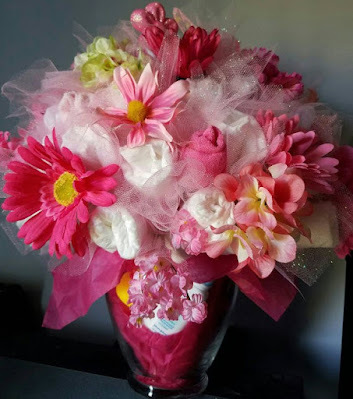 The bouquet was gorgeous and full and filled with beautiful artificial flowers, diapers, socks, baby mittens, hair bows and on the bottom Brita put in a cute yellow ducky with baby powder. 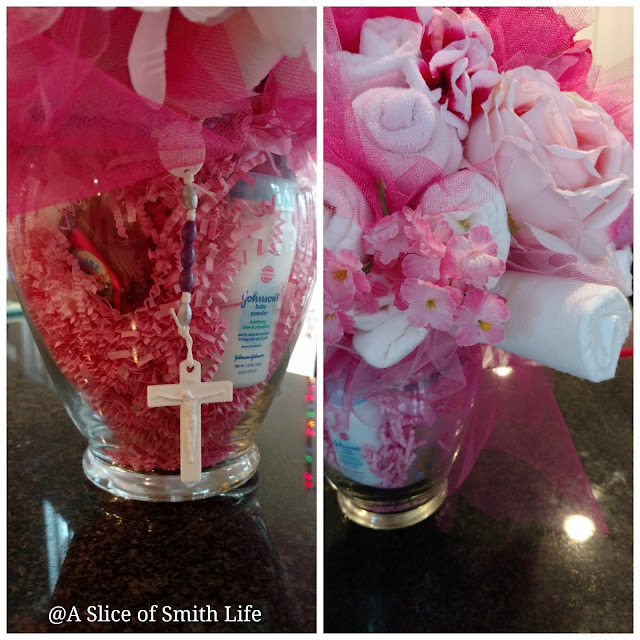 She also added a blessed rosary. 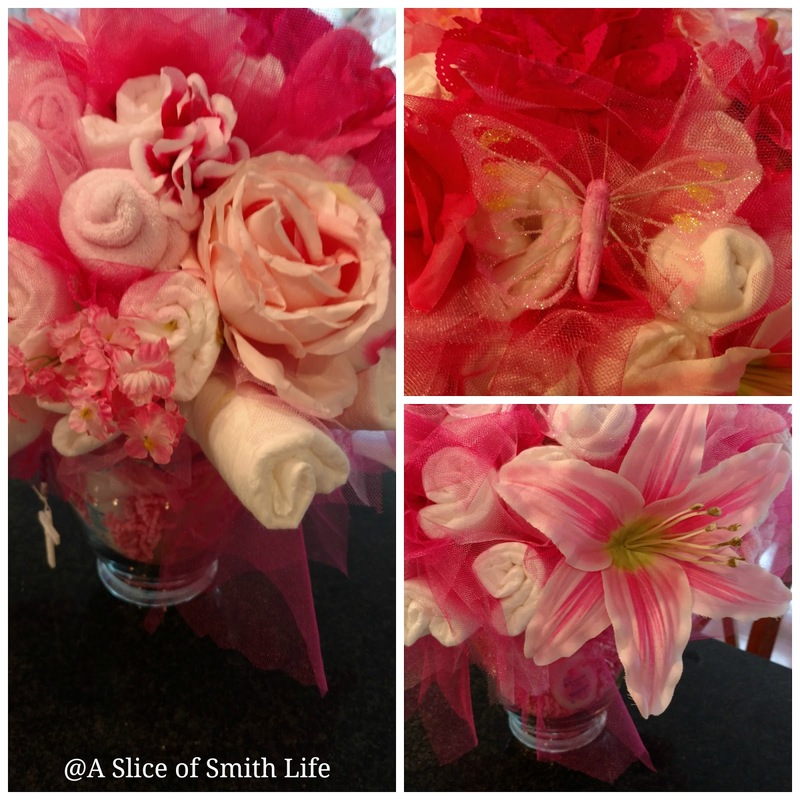 Brita will custom make any bouquet with any colors you choose. 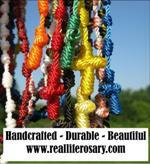 She is a joy to work with and she ships anywhere in the United States! 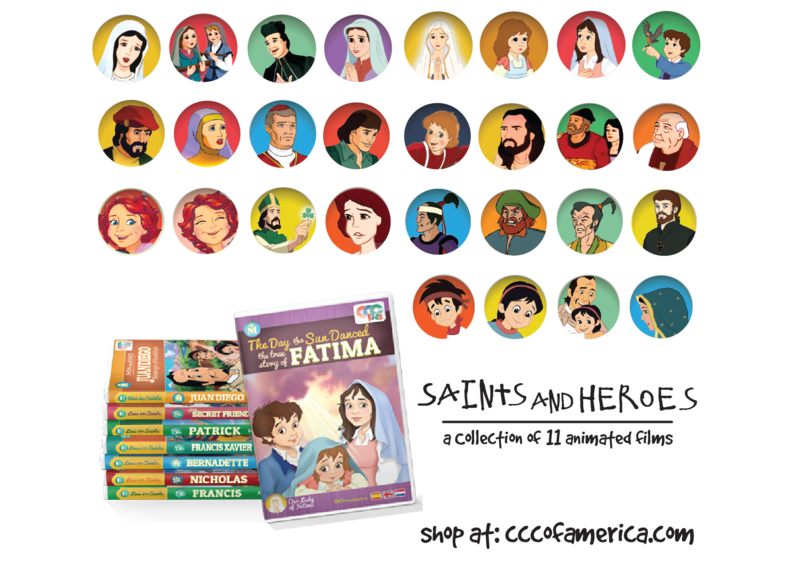 Anytime I come across a great fun way to help children learn more about the Saints I'm all in and ready to purchase! Are you looking for a fun way to teach about the Saints to your children? My kids found these great magnets in their stockings this year! Right now you can try My Catholic Magnets Saint Subscription from where you get a new Saint Magnet each month plus a holy card/story for 3 months for only $5! 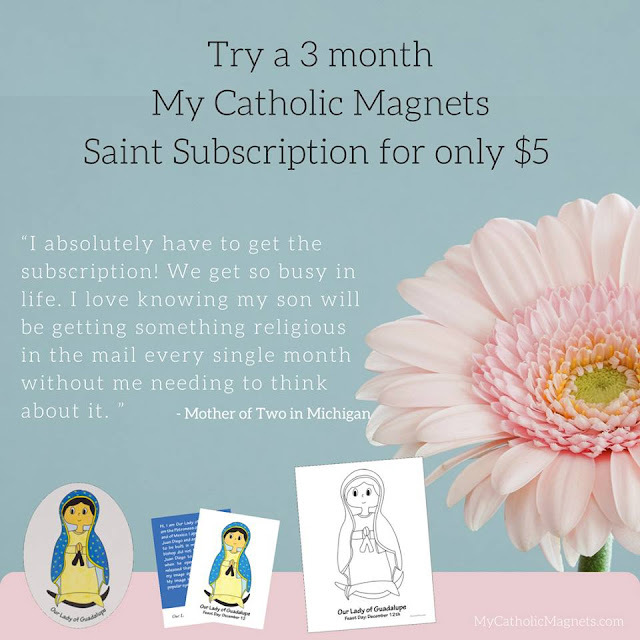 This is a great resource for teaching our little ones about the saints and keeping the saints always visible in the house :) Be sure to visit My Catholic Magnets website or visit them on Facebook at My Catholic Kids! They have a wide selection of Saint magnets to choose from and I just love the artwork! 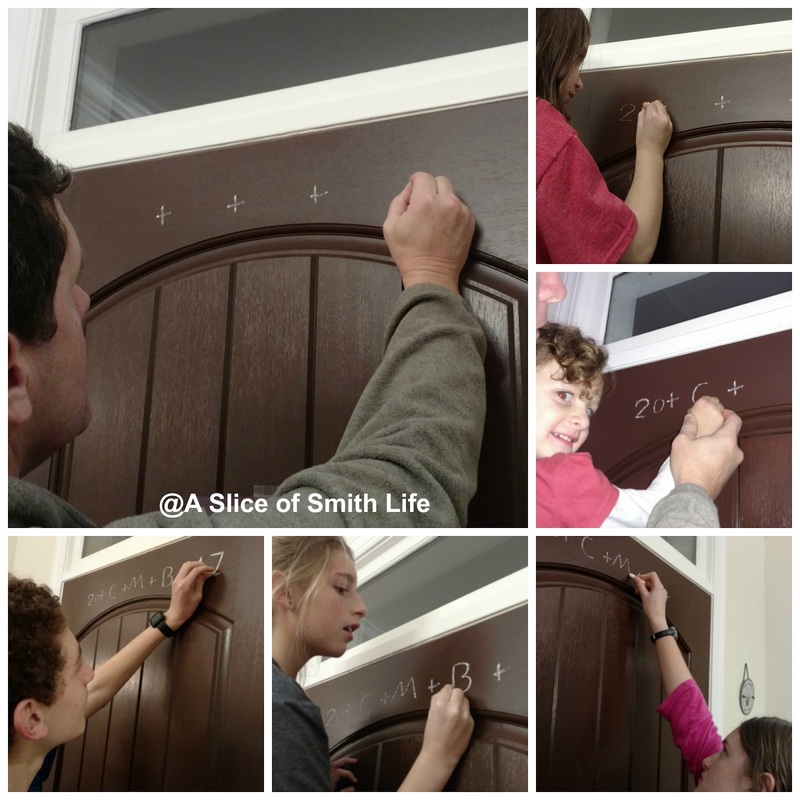 The same family that created My Catholic Magnets also wrote the Bible Stories for Advent that I reviewed on my blog. I hope your new year has been blessed so far! 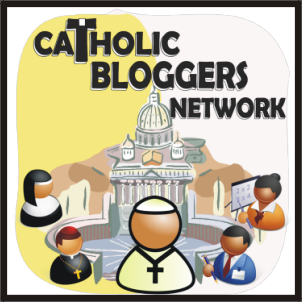 Subscribe to my blog and never miss an update or post!